Like many organisations out there, employees are always their biggest asset. The same can be said about LH Plus and its people. An employee’s growth, whether personal or professional is imperative and it advertently affects the company’s growth. So training is a must to keep every LH Plus employee up to par, if not, better than they were when they joined. Hence, when it comes to moving people to the next level in their career, LH Plus takes pride in giving employees room to grow and presenting them with opportunities that benefit them in the long run. We believe that when our people grow, the business grows together. It may be easy to clean your own toilet, but the same cannot be said to a public toilet, especially one that is normally used by hundreds of people a day. This is even more so for a factory who also has foreign workers using the toilets. 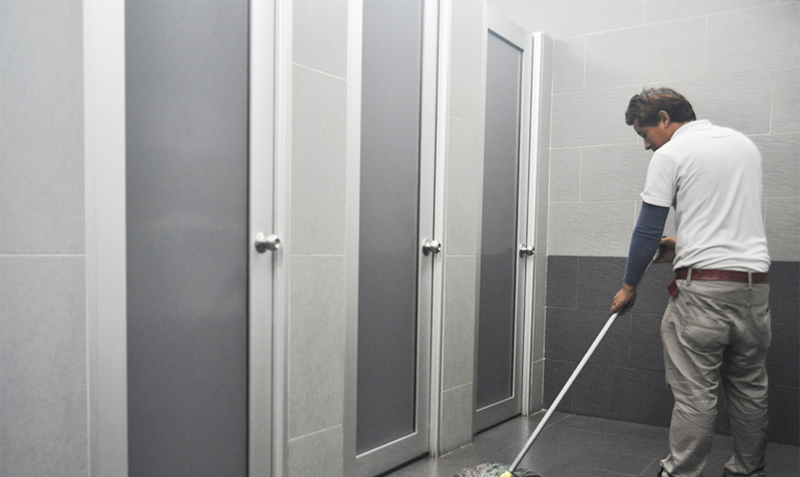 This is why in LH Plus, we strive to keep our toilets in great condition as we understand that this will create a sense of comfort among our workers, and it promotes good hygiene for better health and cleanliness. As such, we strive to maintain the cleanliness in our toilets at all times.